A slow start to the BSBI Plant Hunt on New Year's Day compared to Days One and Two - presumably people had been celebrating the night before and fancied a lie-in! But several organised events had been planned in Somerset, Bristol, London, Dublin, Cambridge... so by lunchtime the records were flooding in again! 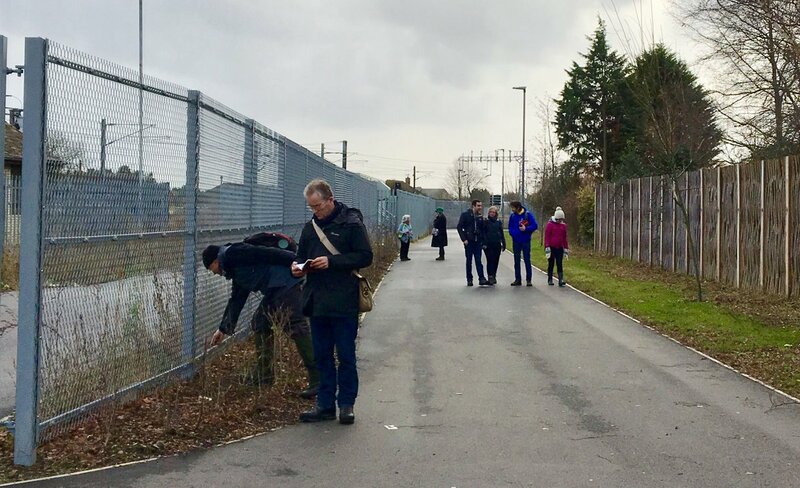 In London, a crack team of botanists who had met up and hatched their plans at the BSBI Exhibition Meeting back in November went out hunting at Hackney Marshes. Sandy Knapp, Head of the Algae, Fungi and Plants Division at the Natural History Museum, and her NHM colleagues Kath Castillo, Orchid Observers Project Officer, and Alisa Crisp, Interpretations Officer, hooked up with Orchid Hunter Leif Bersweden, Nell Jones (Head Gardener at the Chelsea Physic Garden) and archaeologist Jo Wright, who was part of the New Year Plant Hunt support team on Saturday and Sunday. 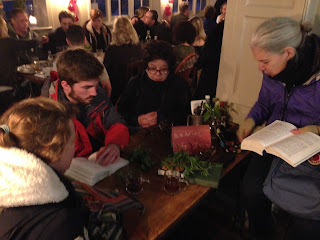 They found 29 species in bloom, including Black Horehound and three "mystery mustards" which of course they decided had to be taken to the pub and examined over a glass or three of mulled wine (on left). 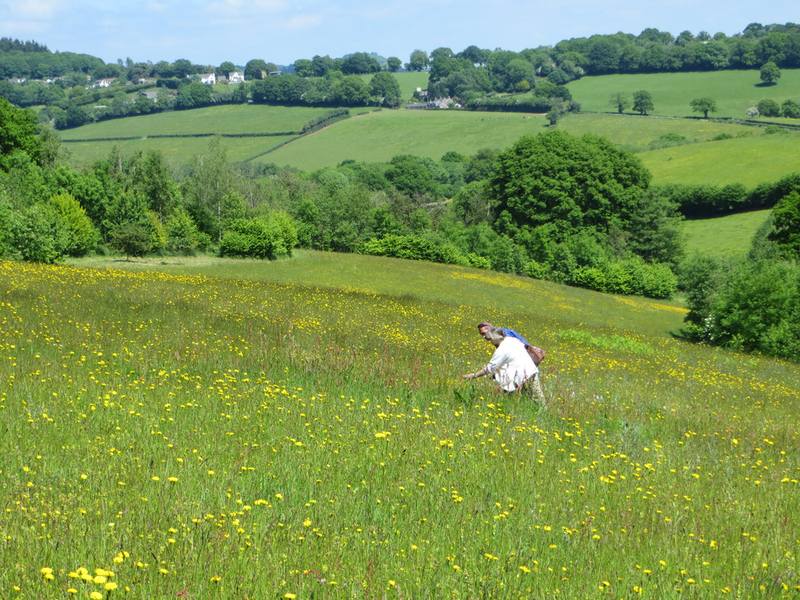 They decided they had found Hoary Mustard, Hedge Mustard and Black Mustard: we'll soon find out if Dr Tim Rich, BSBI's expert for this group of difficult plants, agrees. Tim, who co-founded the New Year Plant Hunt back in 2012 with Dr Sarah Whild, has very kindly been helping with ID of the Brassicaceae throughout the Plant Hunt and we are extremely grateful to him. Ian Denholm, Chair of BSBI's Board of Trustees, has been advising on all other plant identifications but as Ian says, when it comes to Brassicaceae, Tim is "The Guv'nor"! But we are of course the Botanical Society of Britain and Ireland and in our other capital, Dublin, there was an organised Hunt for each of the four days of the Hunt. 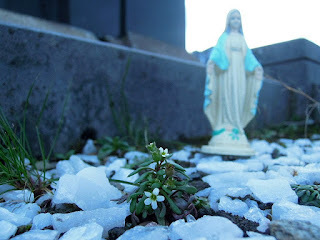 58 species were spotted in the Ringsend area on New Year's Day by Brian Seales and his team, including Cowslip, Stinking Tutsan, Rock Samphire, Buck's-horn Plantain and a hybrid Speedwell so esoteric that it doesn't even have an English name! They also found garden escapes including Pot Marigold, Snapdragon, Wallflower. On the other side of Ireland, recorders were out at Glengarriff Nature Reserve, Co. Cork, where County Recorder Claire Heardman and her team found 53 species in bloom, including Devil's-bit Scabious, Wild Thyme, Bell Heather, Parsley-piert, English Stonecrop, Slender Rush and Bristle Club-Rush. 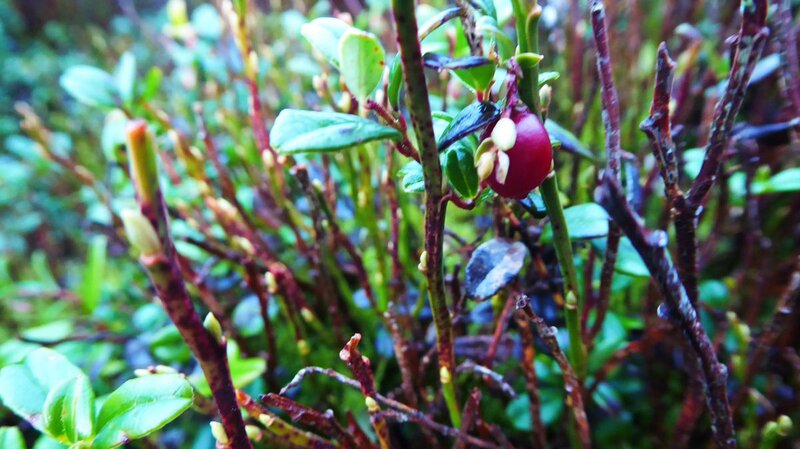 Also spotted in bloom were two Lusitanian species, Strawberry Tree and Portuguese Heath. Navelwort was blooming in both Swanage & Co. Cork, but hasn't been reported in flower anywhere else yet. One specimen of Iris unguicularis was spotted in bloom on The Wirral, while Cowberry was recorded in fruit and in flower on the North York Moors. Individual recorders, families and small groups of friends were also out in locations from Sidmouth to North Yorkshire, from the Isle of Skye to Norfolk to the Gower peninsula. Some longer lists started to come in from southern parts and from the Cambridge area, where 88 species were found in bloom by a Cambs. 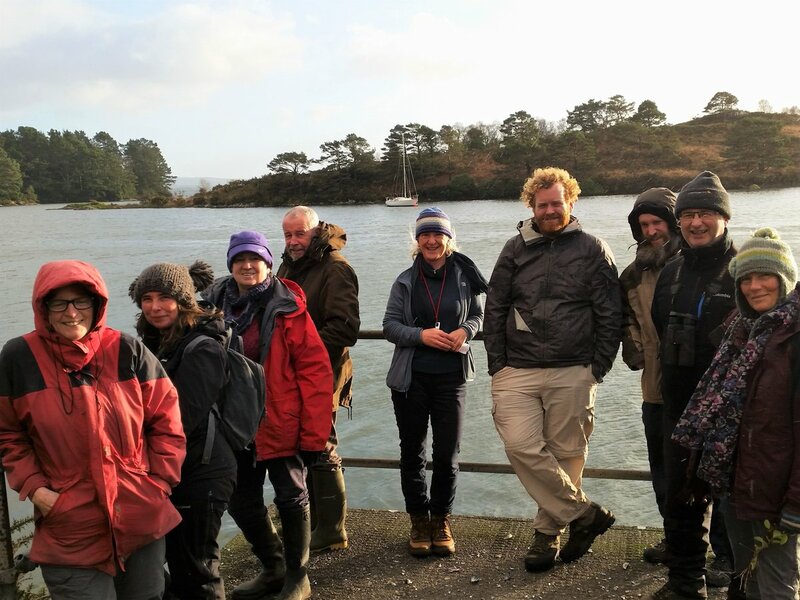 Natural History Society group led by County Recorder Alan Leslie. 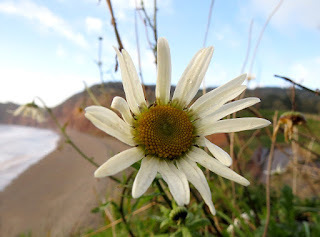 Helena Crouch and fellow members of the Somerset Rare Plants Group found 74 species blooming at Clevedon, and 115 species were found in bloom in Cornwall by Ian Bennallick and fellow Cornish botanists - click on the links here to see what was found on some of these long lists. But as always, we were just as happy to receive single records from parts of the country where recent foul weather had hit our wildflowers hard. It was actually quite heart-breaking to see people sharing photos taken from their sitting room windows of torrential rain and snow outdoors and hearing "So sorry, but we may not manage a Plant Hunt today". We reassured our lovely botanists that it was perfectly fine to stay at home in the warm and follow the action on social media! 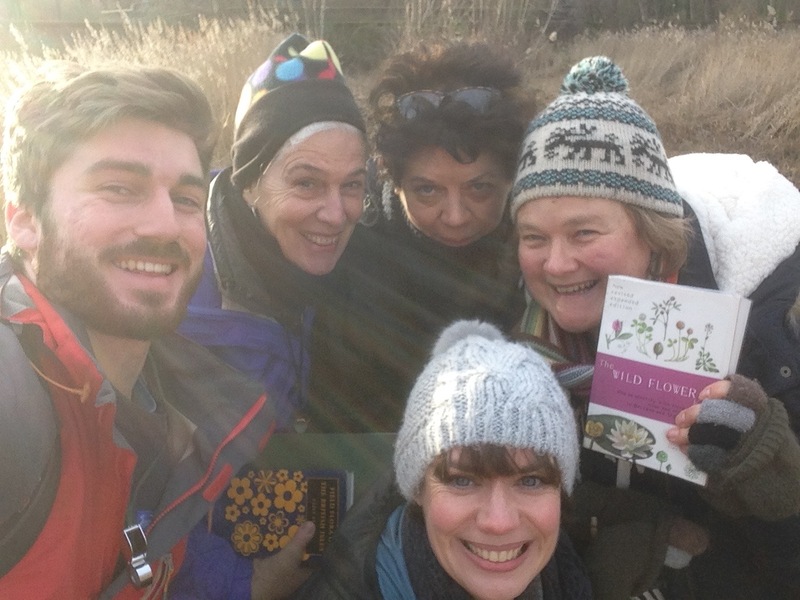 There's always tomorrow, the fourth and final day of the 2018 New Year Plant Hunt.